Caden Holt thrives at being a chef in the kitchen of Rose's Red Door Inn. She's overlooked by many but her joy comes from cooking for visitors and seeing the joy in their faces. However, when Adam Jacobs, a man who could possibly bring some much needed publicity to the Inn arrives, Caden's boss gives her the task of taking him around the island and impressing him. As the two get to know one another, Caden realizes there's something special about this visitor. He's kind and does something no one has ever done before - he makes her feel beautiful. 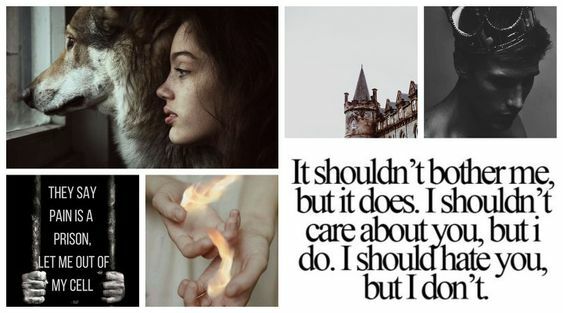 But Adam isn't who he said he is, and he doesn't know how to tell her without breaking her heart. It's no typical thing to get an opportunity to take a trip to Prince Edward Island in a good inspirational romance that's jut begging to be read, but Liz Johnson gives us just that. I'm a huge fan of Anne of Green Gables so that is what appealed to me most about When Two Hearts Meet. I thought it'd be "fun" but that's a weak word to describe this gorgeous book! This is a quiet journey, peaceful and just the thing to accompany a cup of coffee on these chilly fall days. Where Two Hearts meet is just short of perfect honestly. I love Caden! She listens to the Newsies while she cooks, doesn't have a perfect figure, and has never had her first kiss. She's a well rounded character and her romance with Adam is pleasantly done. Forget the typical love triangle and take a walk down a peaceful road where a first kiss is treasured- a heart stopping, beautiful kiss I might add. There's no suspense, no villains, just two ordinary people who we can all relate to. The inspiration is subtle but no less beautiful. God's forgiveness as well as forgiving ourselves is a smell theme but this (I feel) gives it a bigger impact since that's not the complete focus. Overall I loved taking a journey with these characters and I look forward to the next installment. Read this book - you won't regret it! 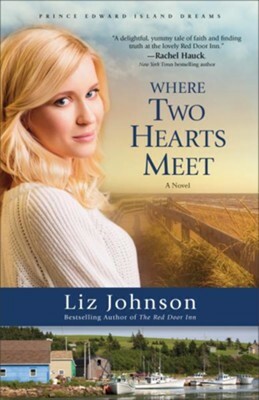 Have you read When Two Hearts Meet before or Liz Johnson's other novels? I received this book free from the publishers in exchange for giving a review of my own personal opinions.